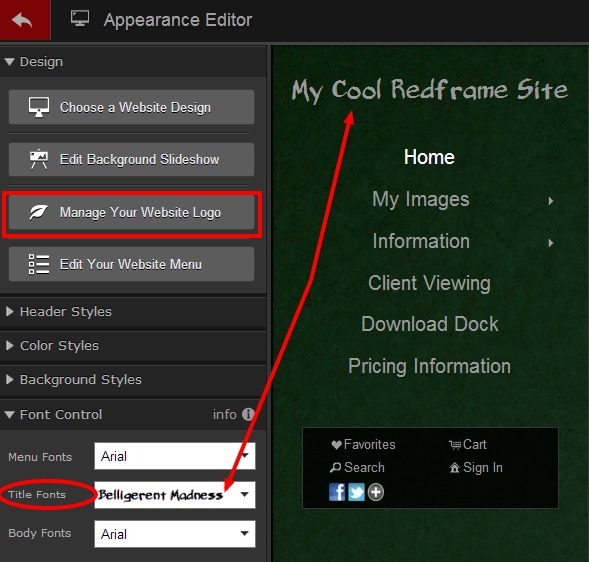 Initially, your Logo will display in the Header of your Site and is the original name you signed up for your Free Trial, such as My Cool Redframe Site – which then became your Redframe subdomain name URL or MyCoolRedframeSite.redframe.com. This acts as your initial Company Name – and also displays as your copyright text in the footer of your site. You can create your own Logo in photo editing software such as Photoshop or Illustrator and upload it to your Redframe website. Click here for more information about uploading a custom Logo PNG to your Redframe site and we encourage you to read Important Info about your Logo Image if you do so. If you do not want to upload your own PNG image Logo, but want to edit your current Logo/Company Name text, (this text also displays in the Footer of the site as the Copyright) or Change the Color or Font of the Logo, this can be done in the Appearance Editor. 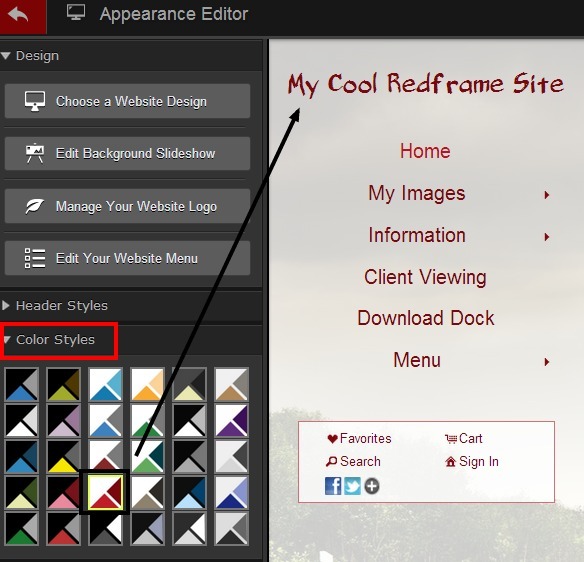 Browse and try a few different color styles that will meet your needs for coloration for the Logo as well as other color settings.